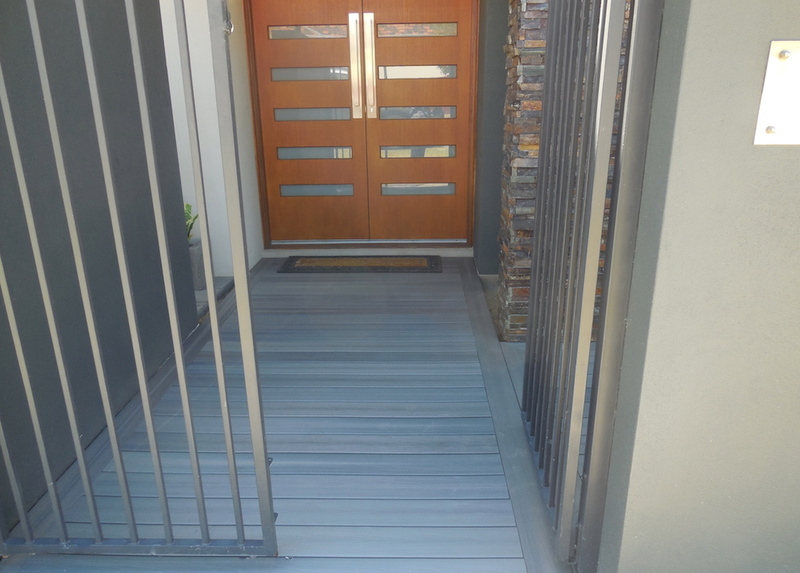 Composite means a mixture of different materials. 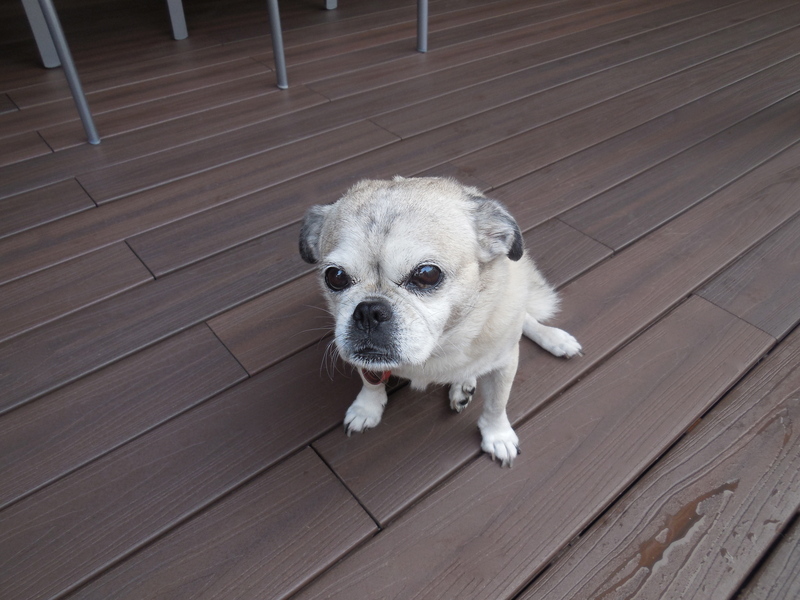 A coffee with milk and sugar is a composite as is your favourite stir-fry dish. 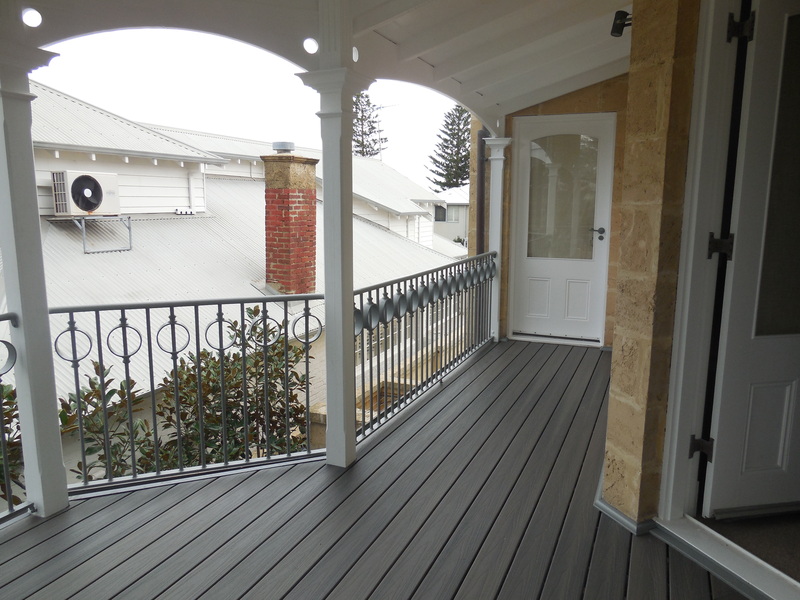 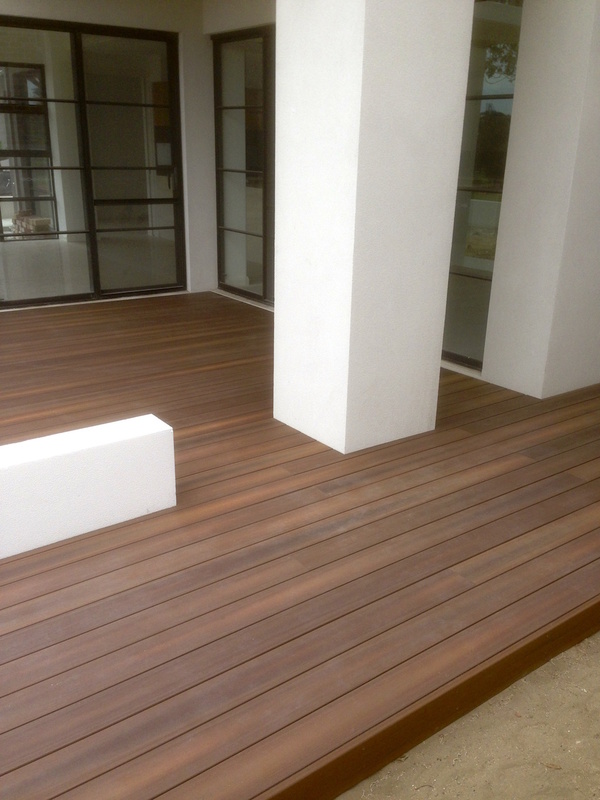 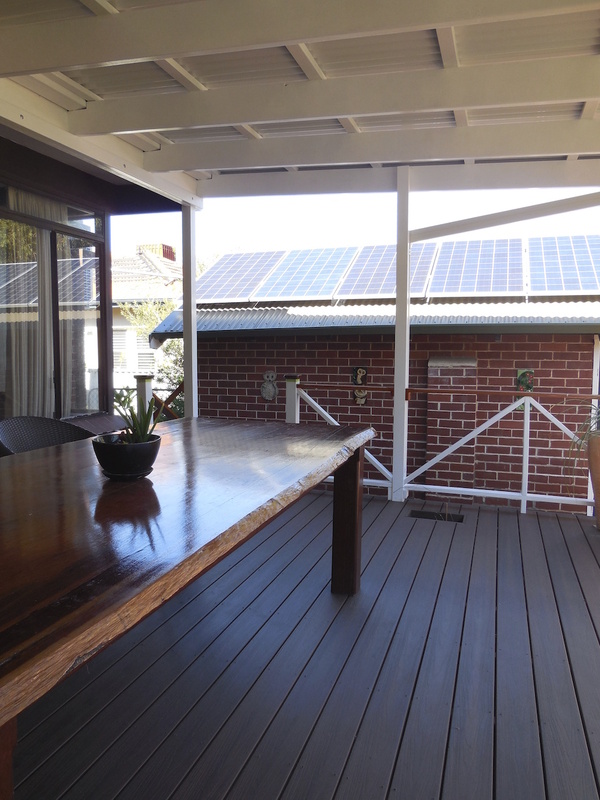 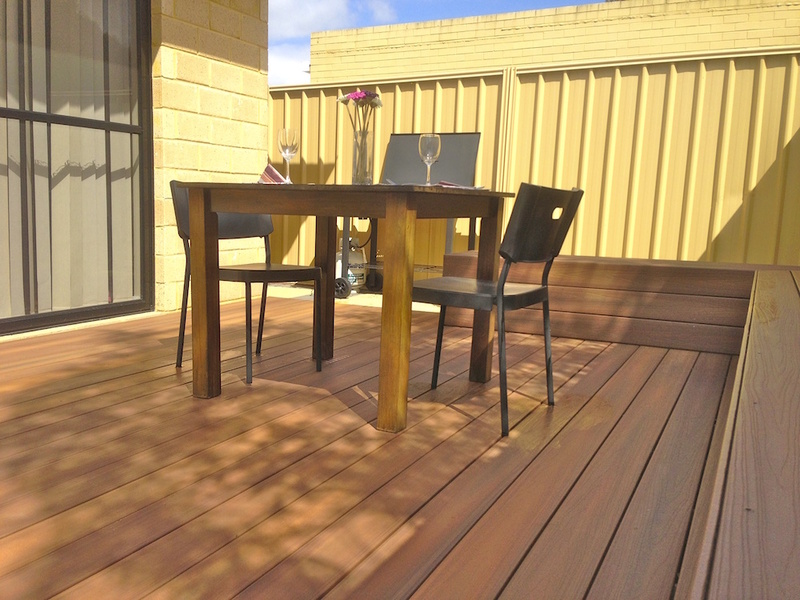 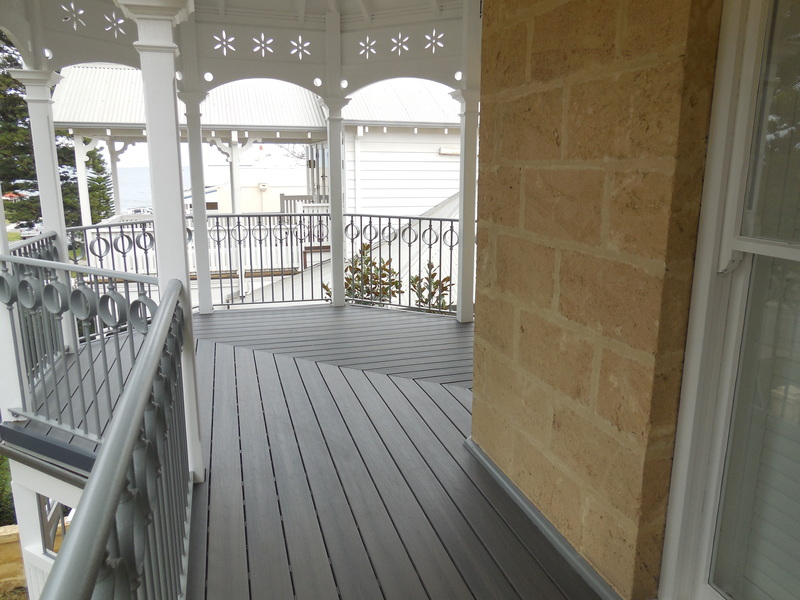 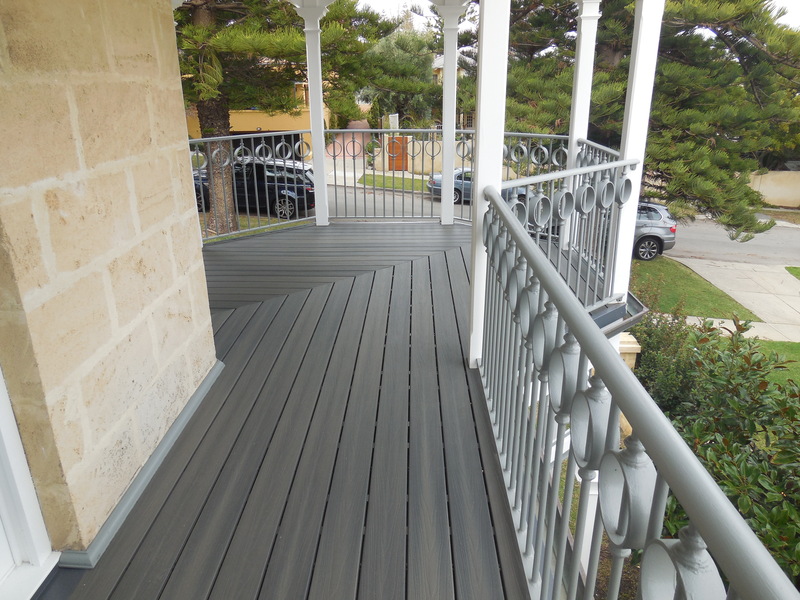 A composite decking board is an eco friendly mix of organic and non-organic material. 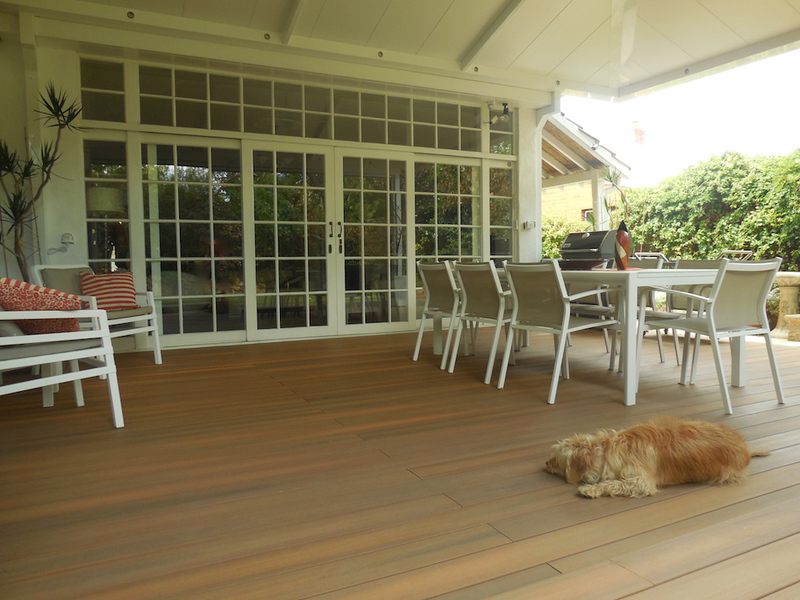 There are many different brands of composite decking on the market today, some are at the top end and others are more budget friendly. 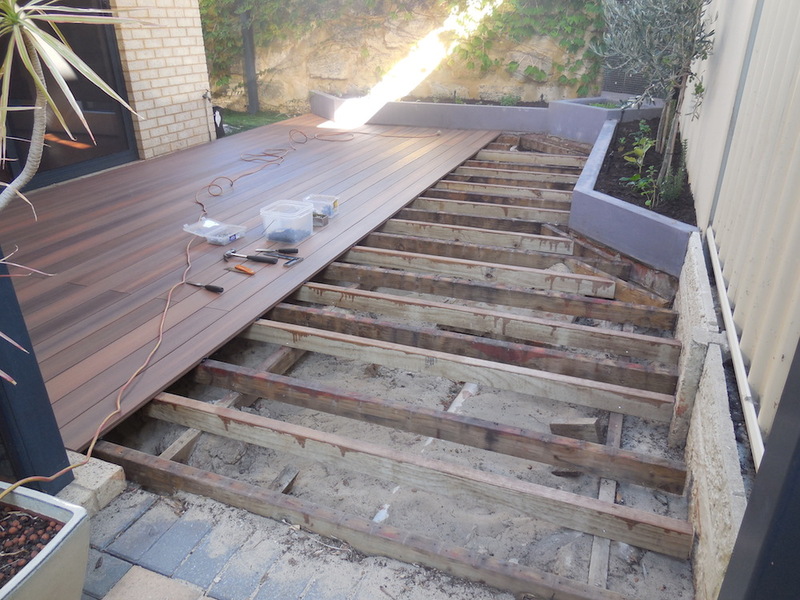 When it comes to composite decking as with many other things, you really do get what you pay for. 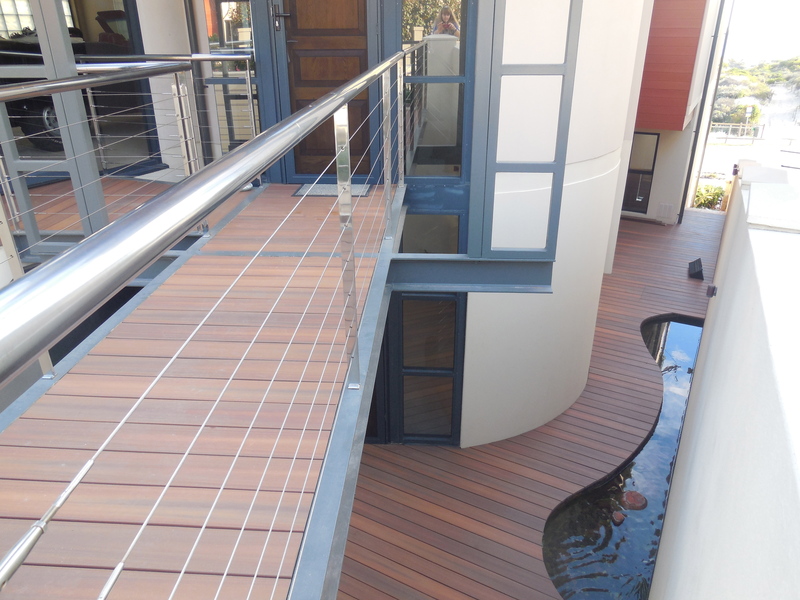 It’s worth considering options that best suit the practicality of the area you want decked, your home and your budget. 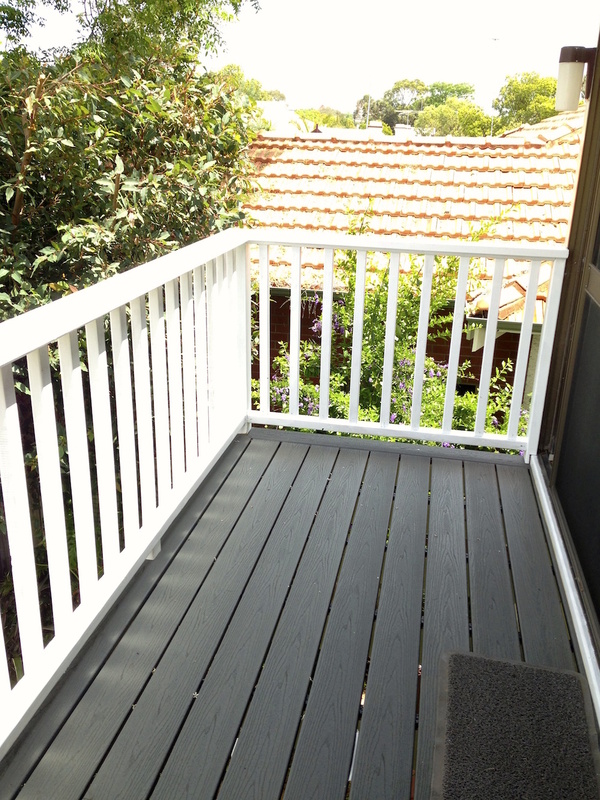 Castlegate Home Improvements will build your deck with the best material suited for your home and your lifestyle. 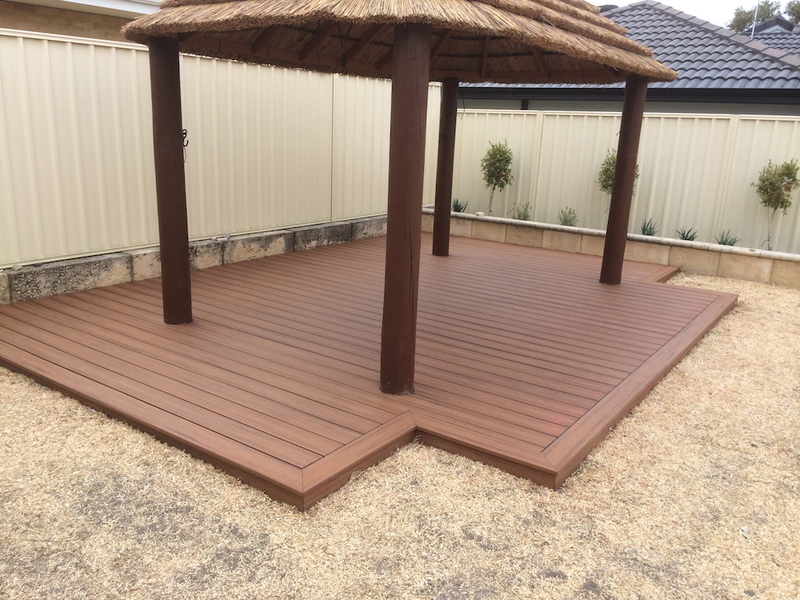 With our good reputation for quality workmanship and service to protect, we will only recommend brands we have confidence in, that will be the best for you and for your budget. 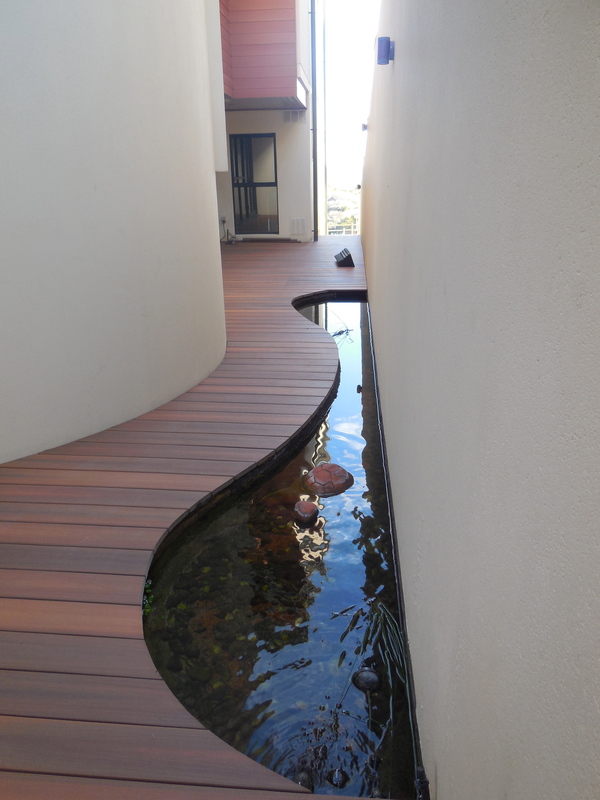 Isn’t composite just another name for plastic? 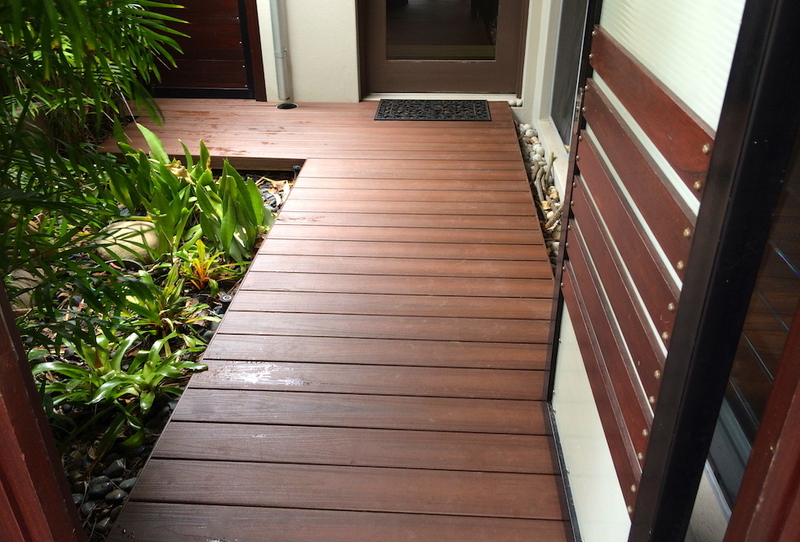 Composite means the board is a mix of materials so it isn’t just plastic. 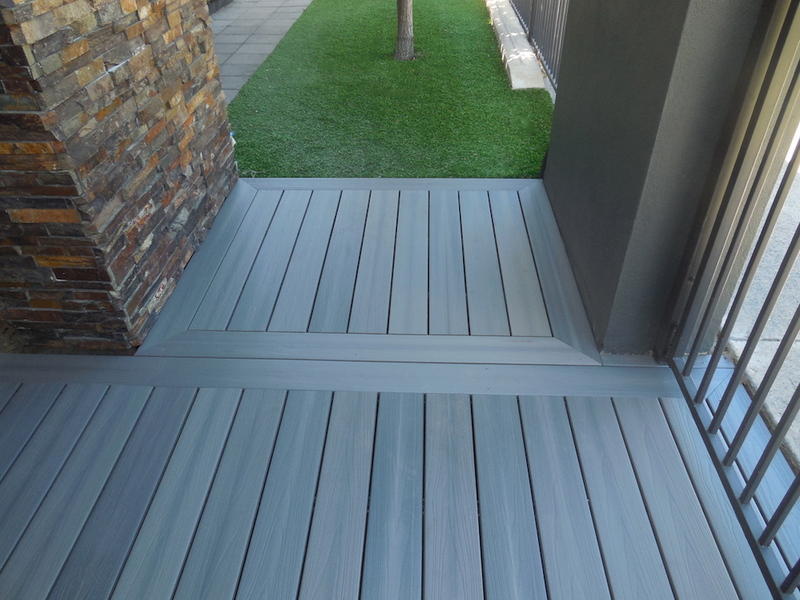 However there is an element of recycled plastic in the product. 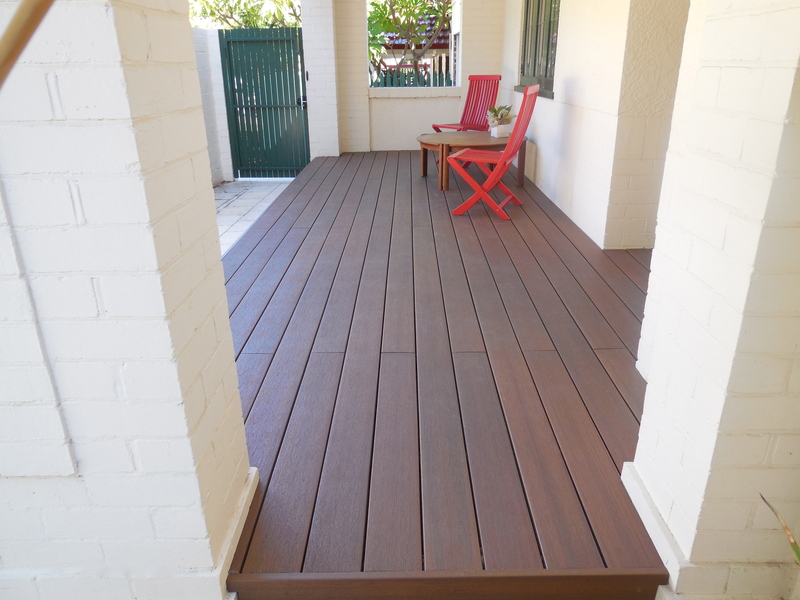 More economical brands may contain more plastic than timber and some brands of composite are completely plastic. 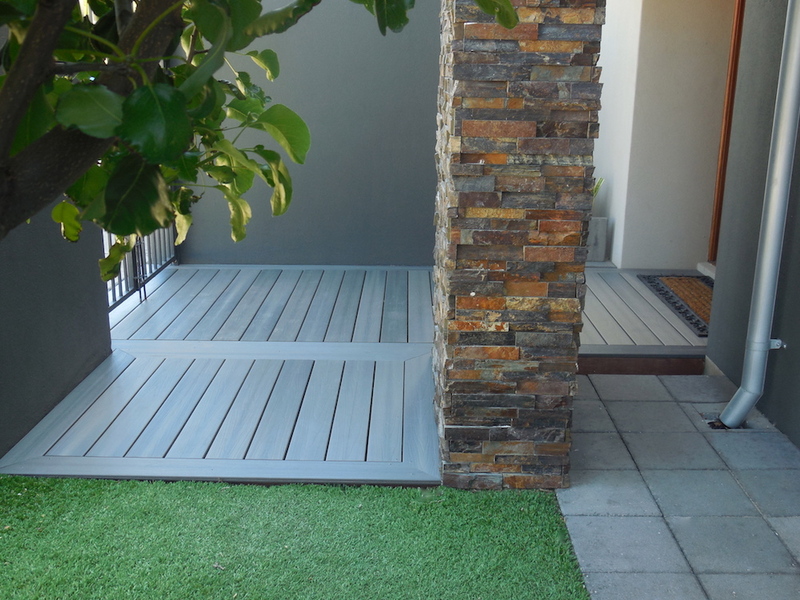 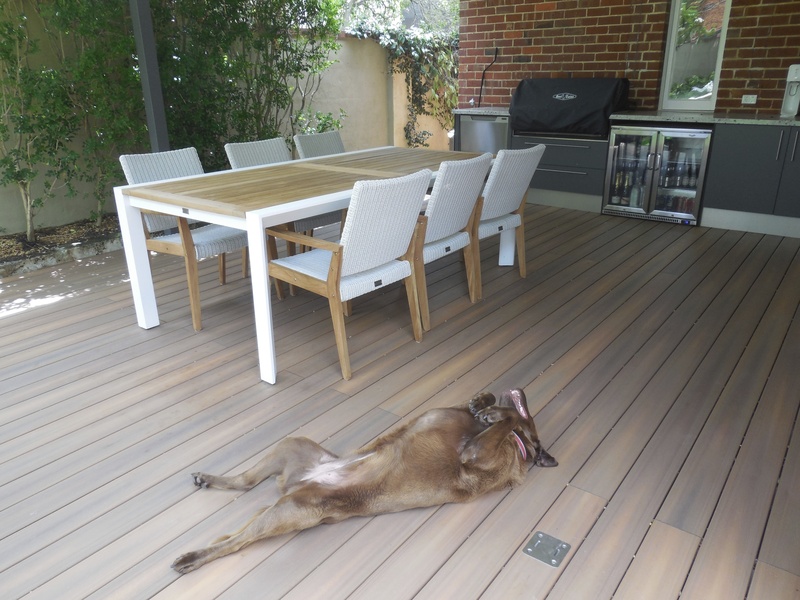 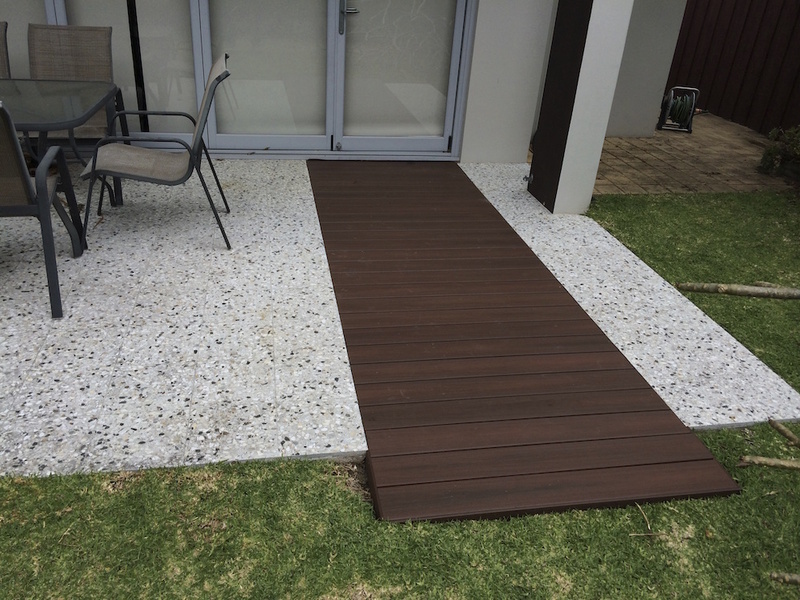 NexGen and Trex composite decking products are a combination of recycled plastic and recycled timber with the latter being the predominant material, so not only are they sustainable but they are very long lasting. 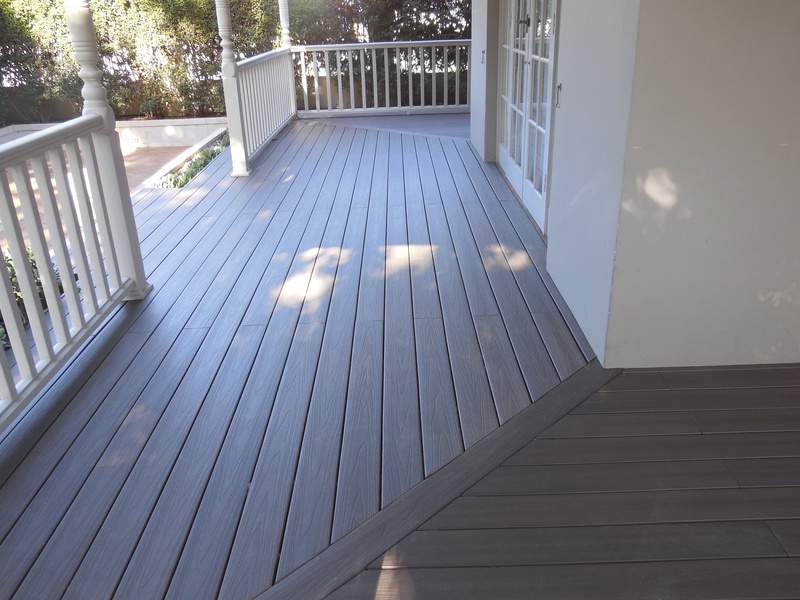 Is composite more expensive than hardwood? 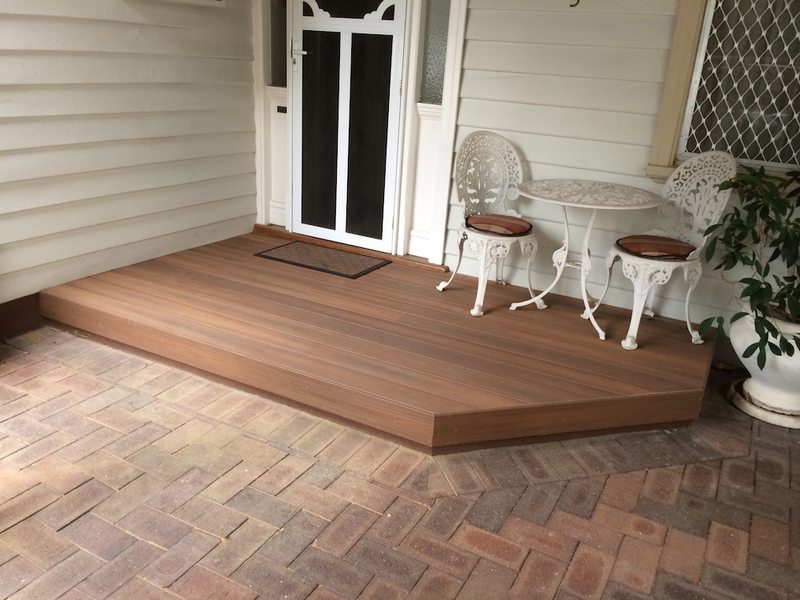 Composite is a complete product. 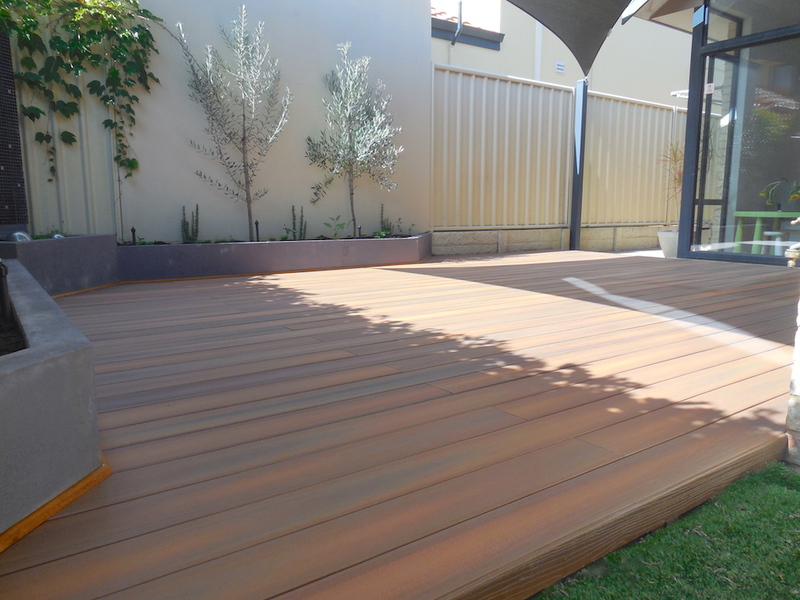 Once its installed, you never need to oil or sand it and it doesn’t require painting so you are saving thousands of dollars over the years in tins of oil or stain, not to mention the time it takes to remove and replace your outdoor furniture. 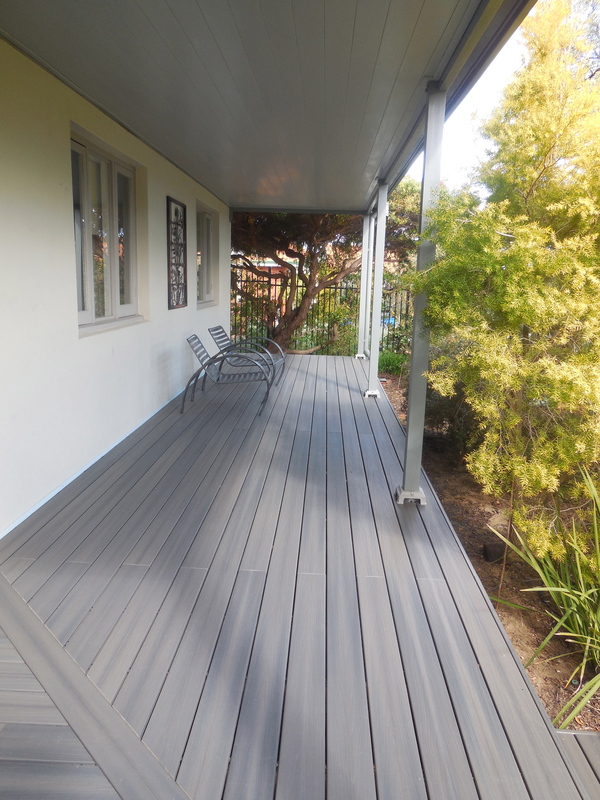 A quality tin of oil will probably cost you about $220.00 and depending on the size of the hardwood deck and the exposure to weather, you may need a few tins a year to coat the deck regularly, so that can stack up to a lot of money. 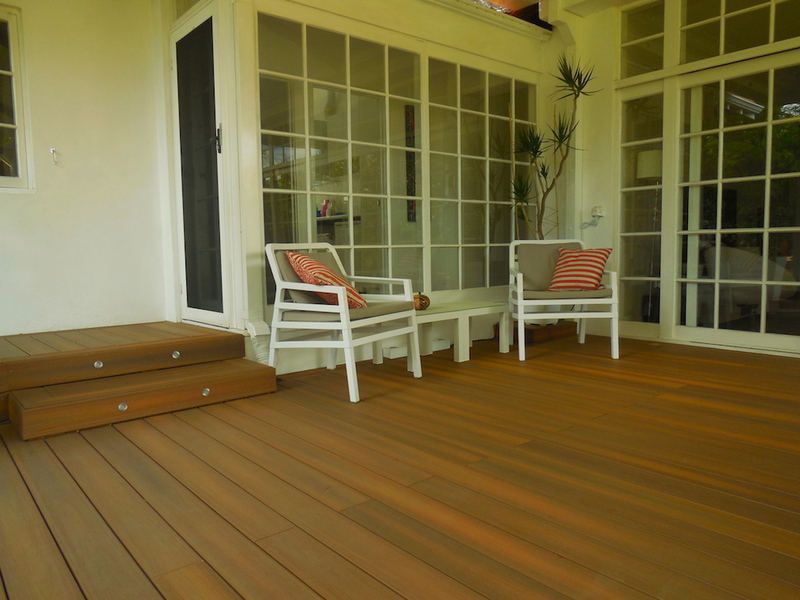 Composite is a little more of an investment than hardwood however you get this back in saving on maintenance materials and your valuable time. 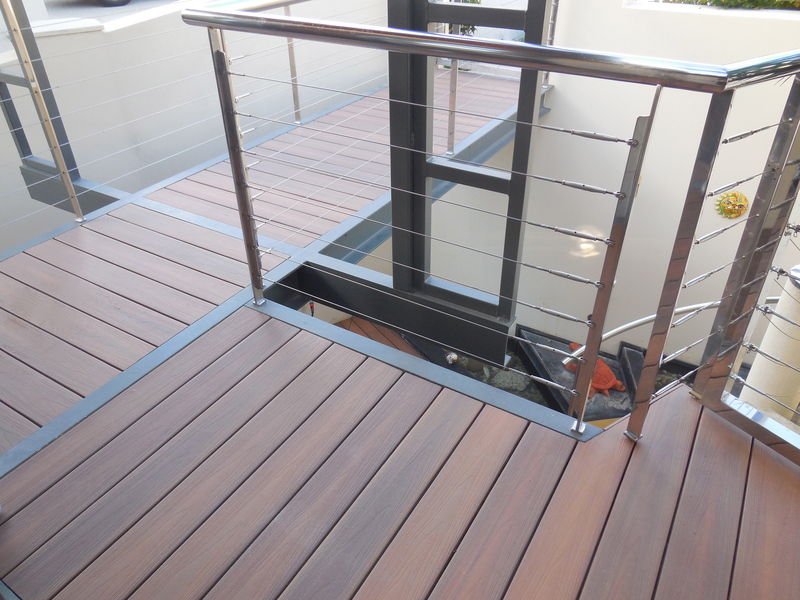 You also receive a 20-year written warranty for your composite deck once built. 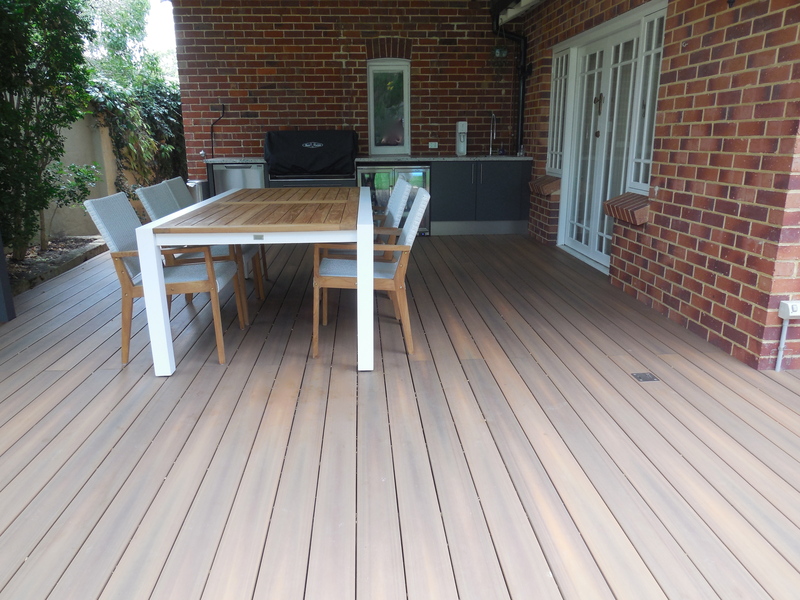 While Castlegate Home Improvements certainly guarantees our work and provides a 12 month decking follow up service, timber is a natural product and it will only retain its healthy condition with regular upkeep. 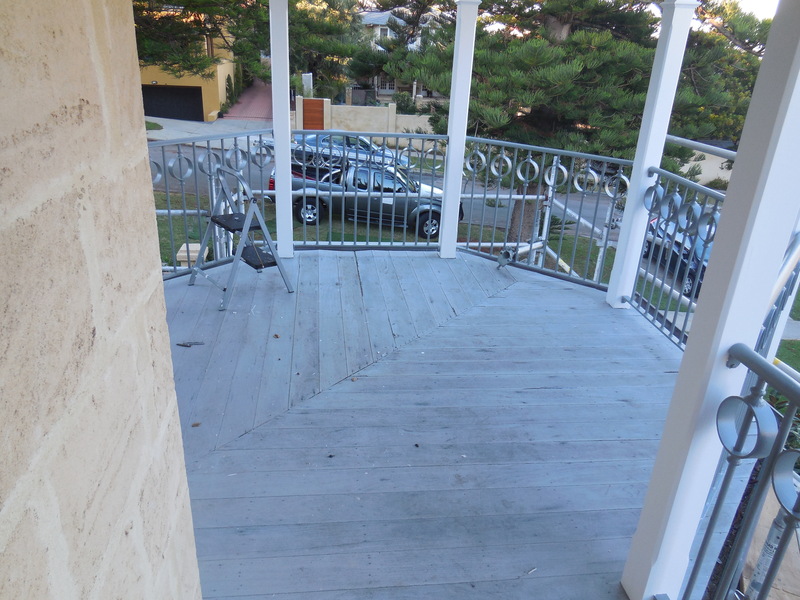 What is the difference in one brand from another? 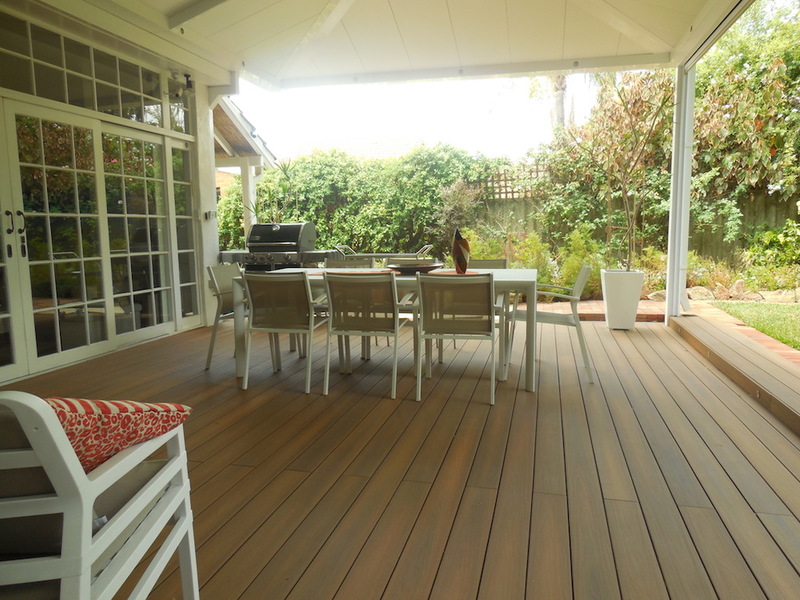 Decking boards are like anything else we buy. 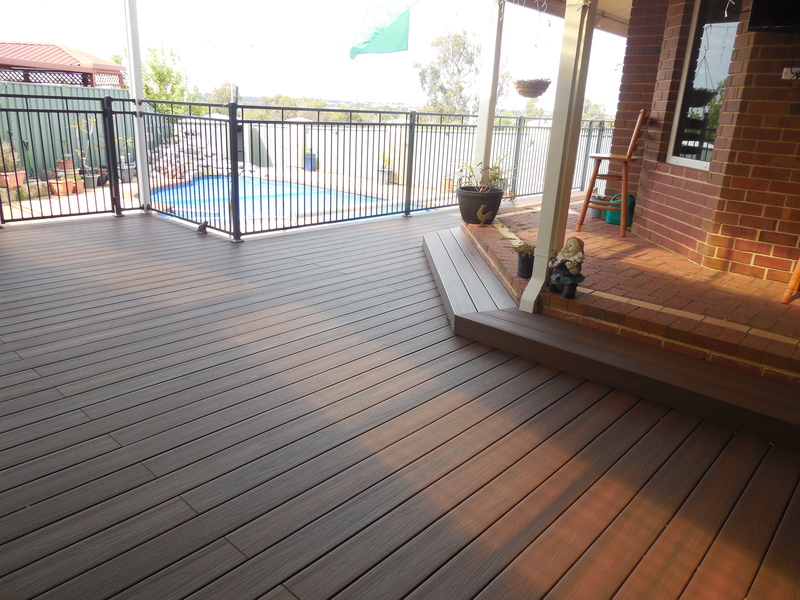 There are top quality brands on the market and there are more economical brands on the market. 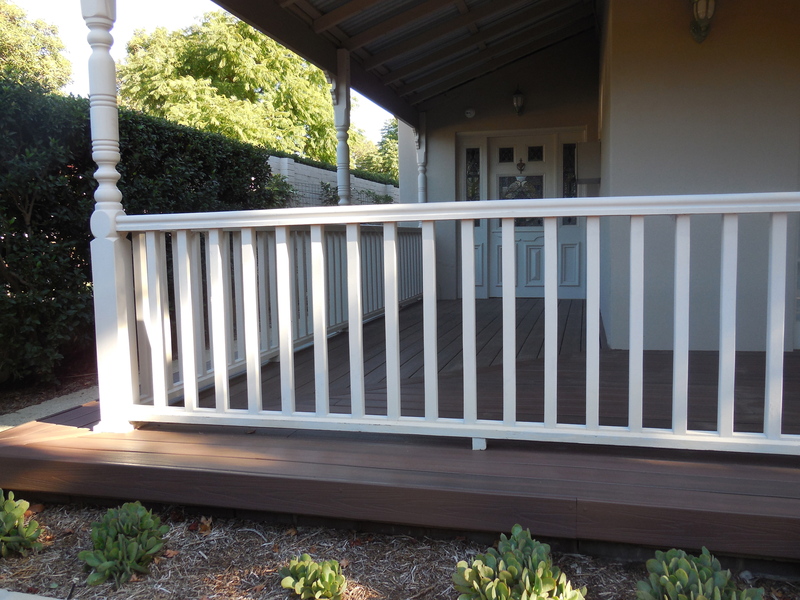 Castlegate Home Improvements are not affiliated with any particular brand but we build decks, a lot, and we know which is a quality brand and which may not be. 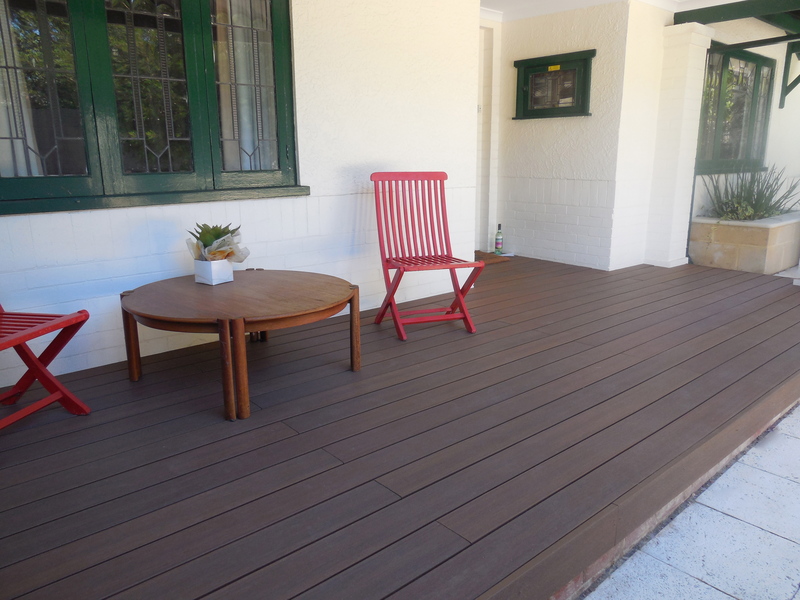 We recommend you choose the best board you can afford, even if you need to save for a little longer, its worth it. 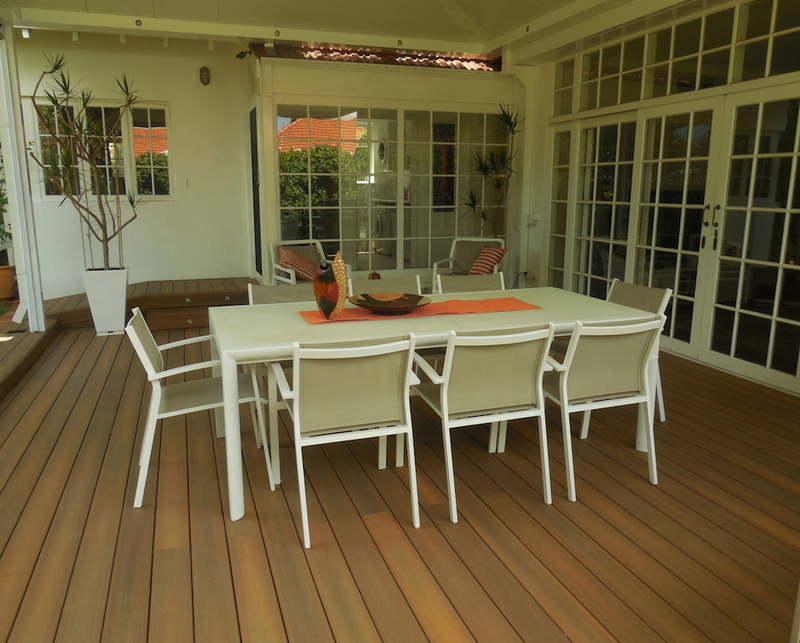 Look for a brand that offers a good warranty. 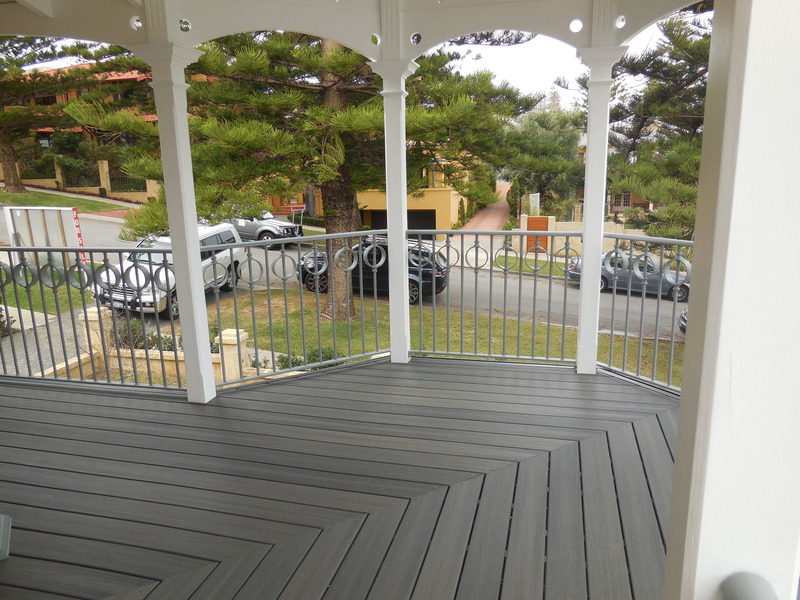 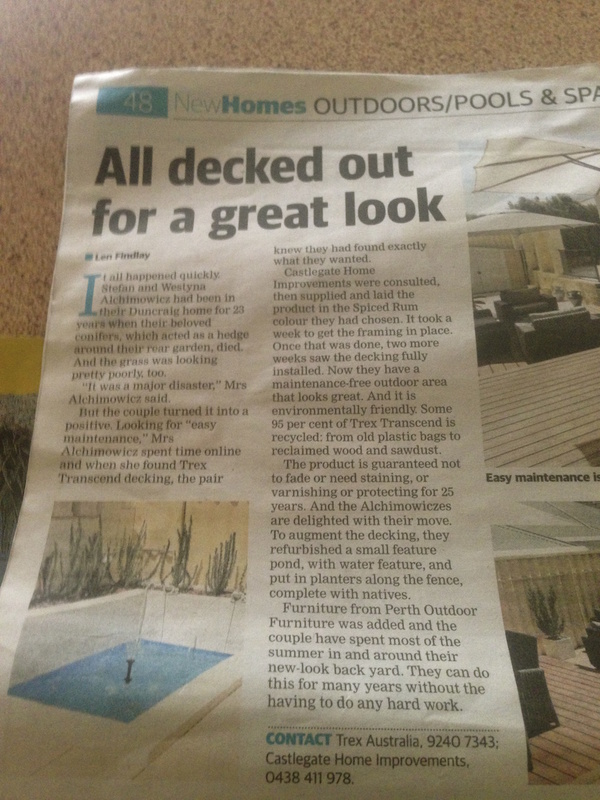 Ask yourself, is there a distributor or brand representative in Perth I can contact if I have a problem with my decking boards? 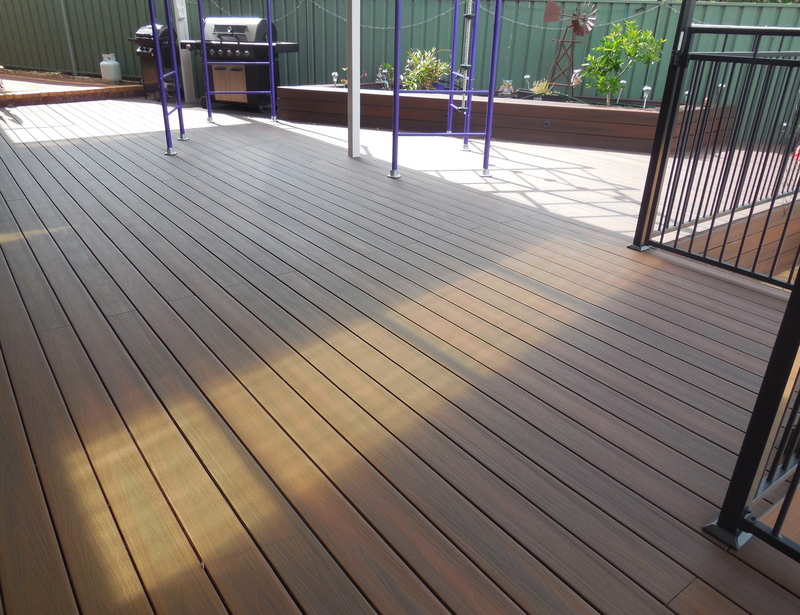 (After contacting your fitter of course) How long has the brand company been in business and where can I see examples of their product? 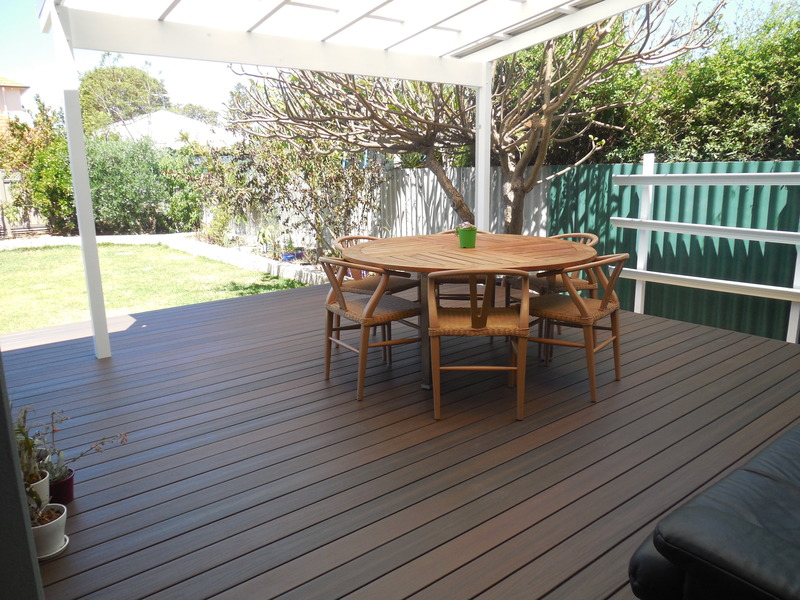 Your deck is an investment and a feature your friends and family will enjoy with you so we recommend choosing a quality board with a warranty and a good reputation. 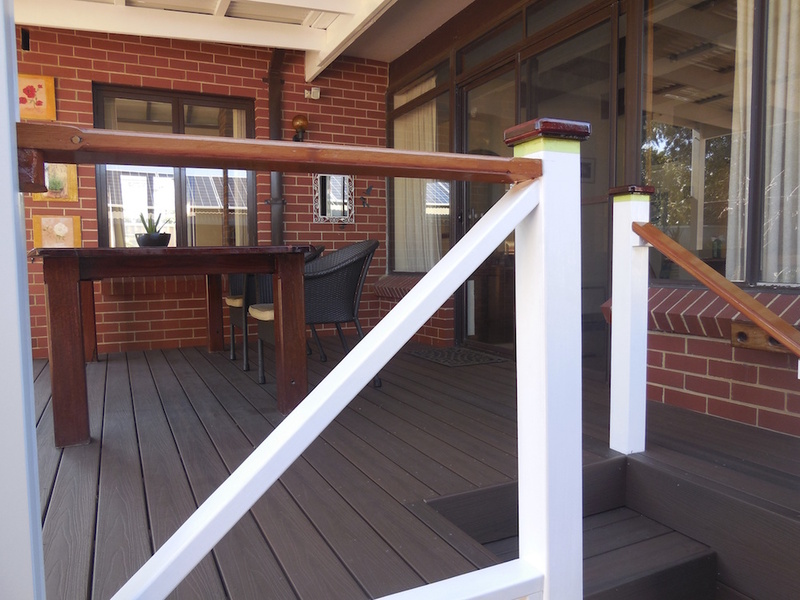 What are the down sides to composite decking? 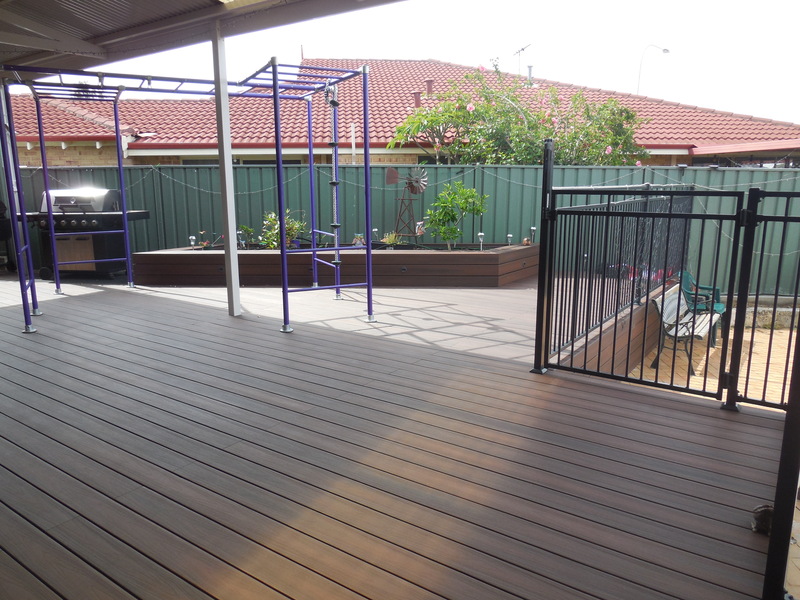 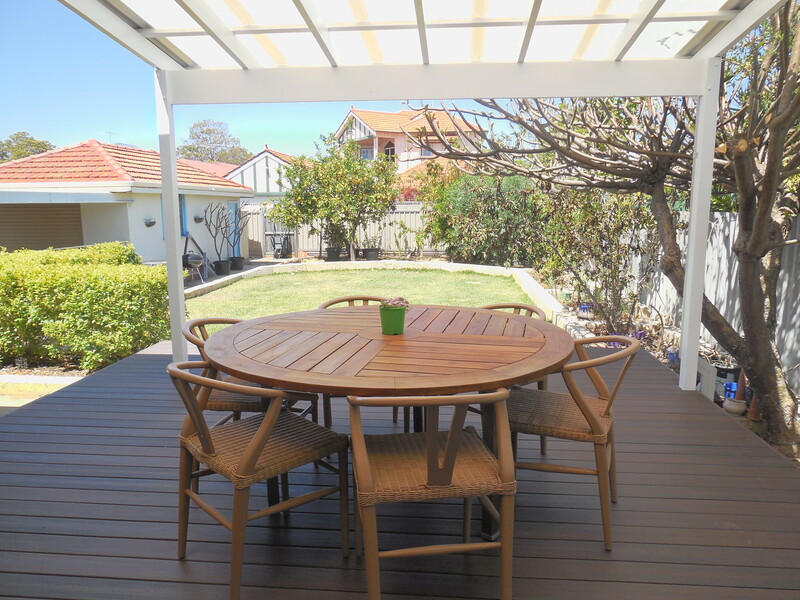 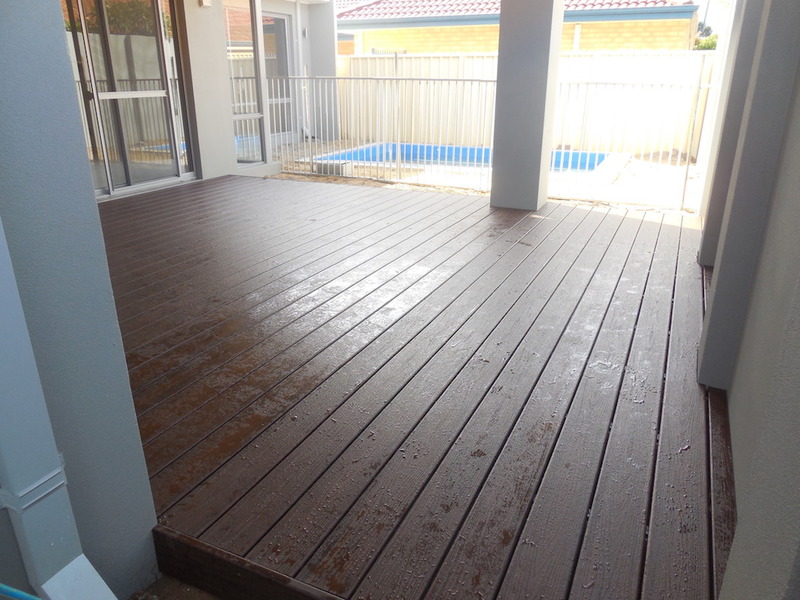 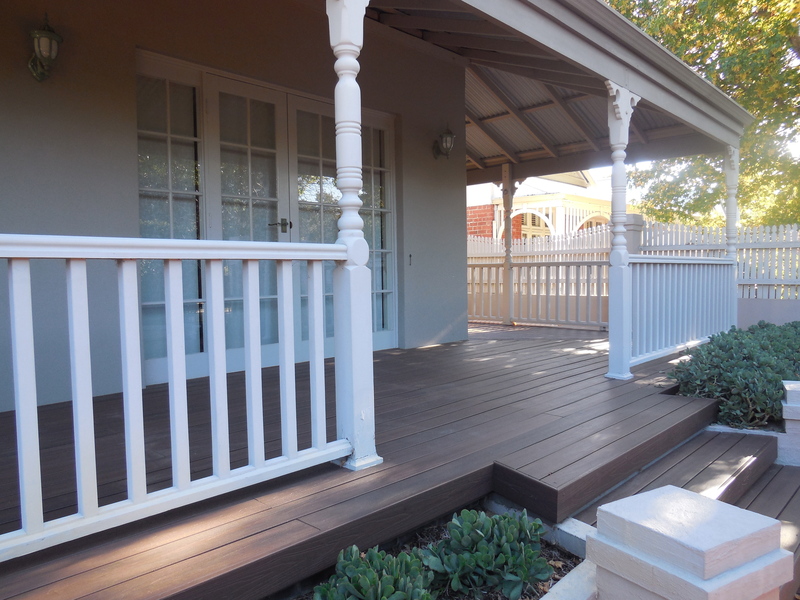 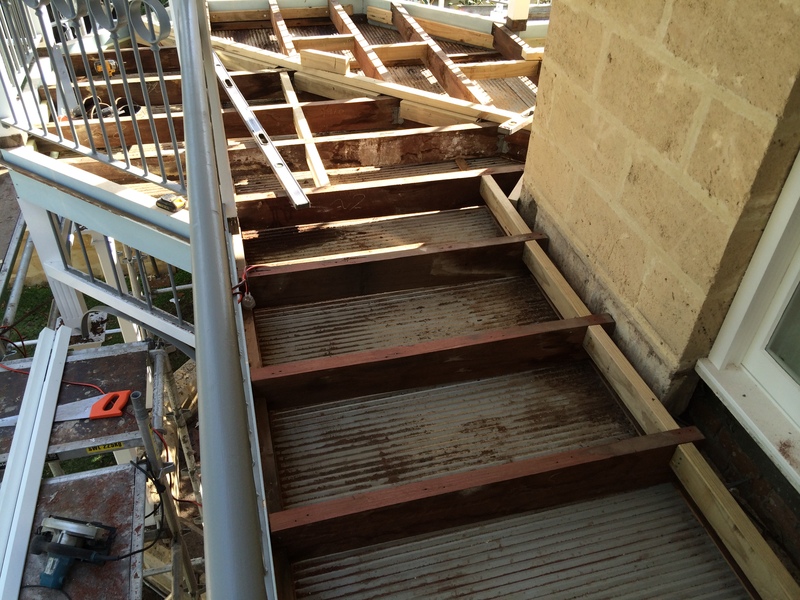 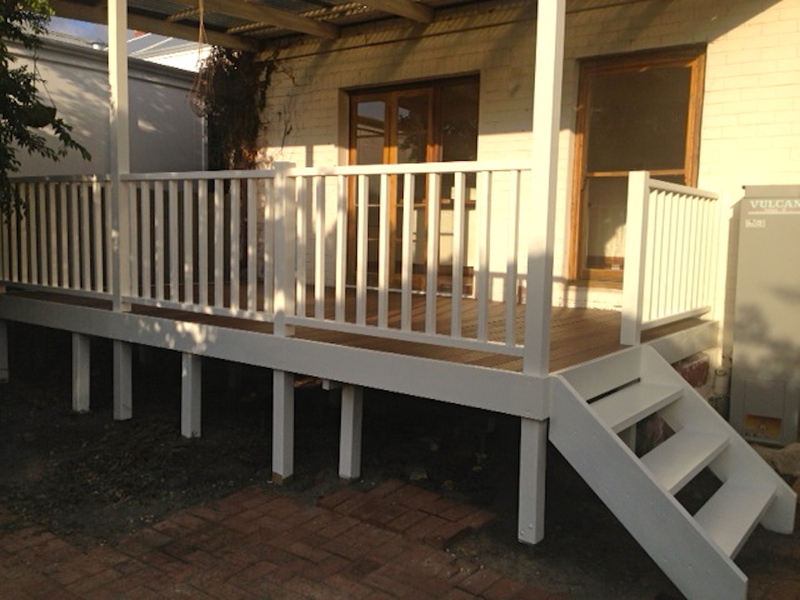 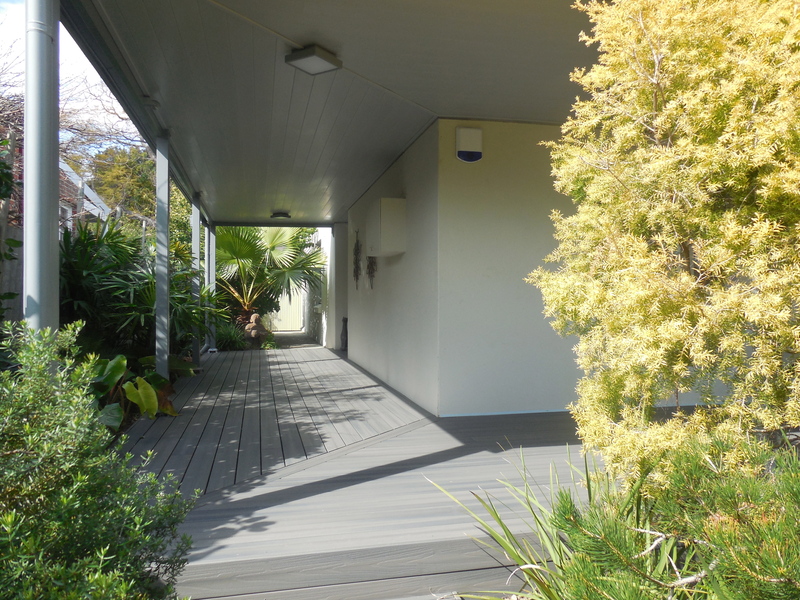 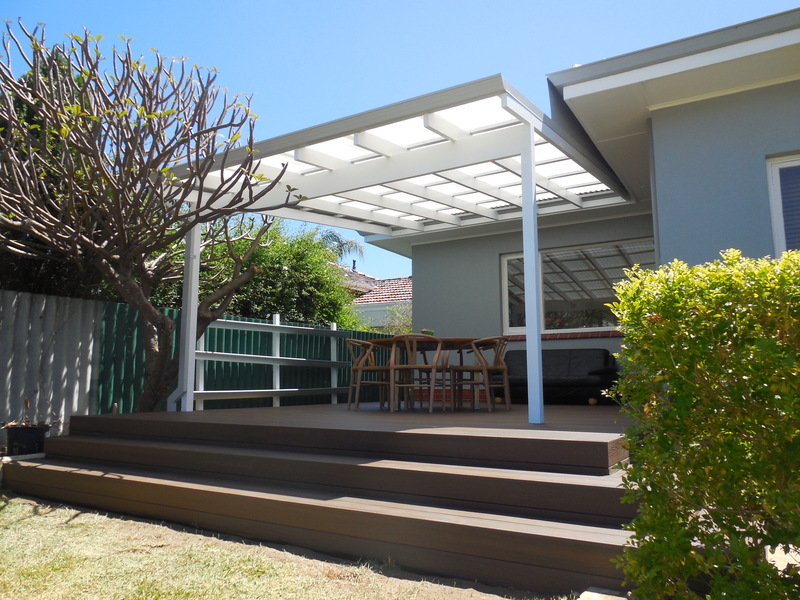 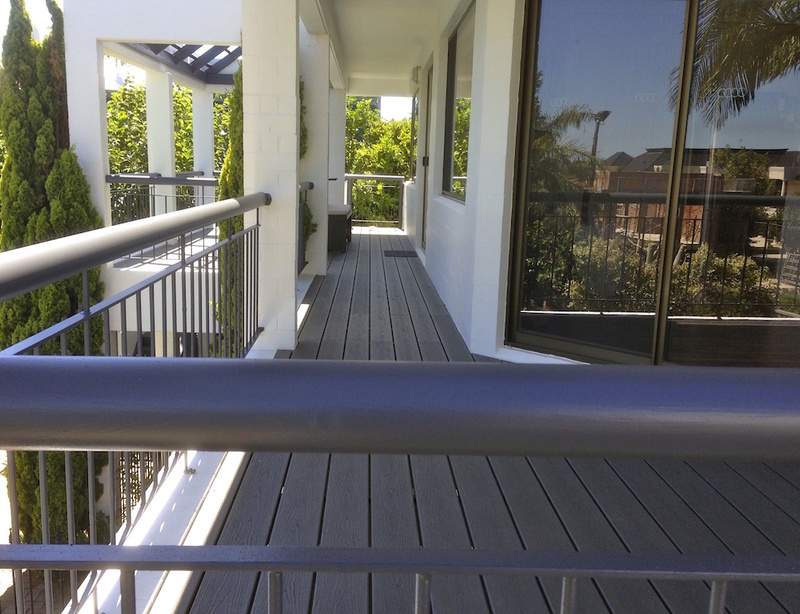 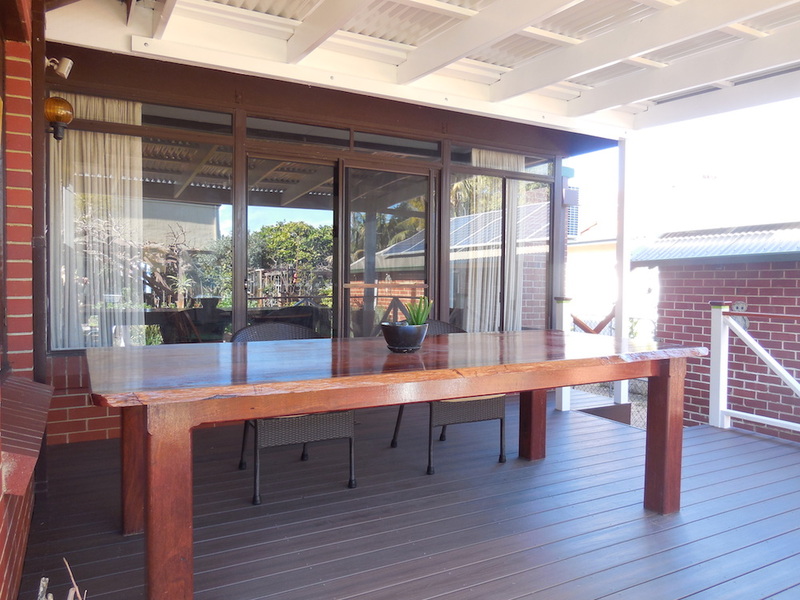 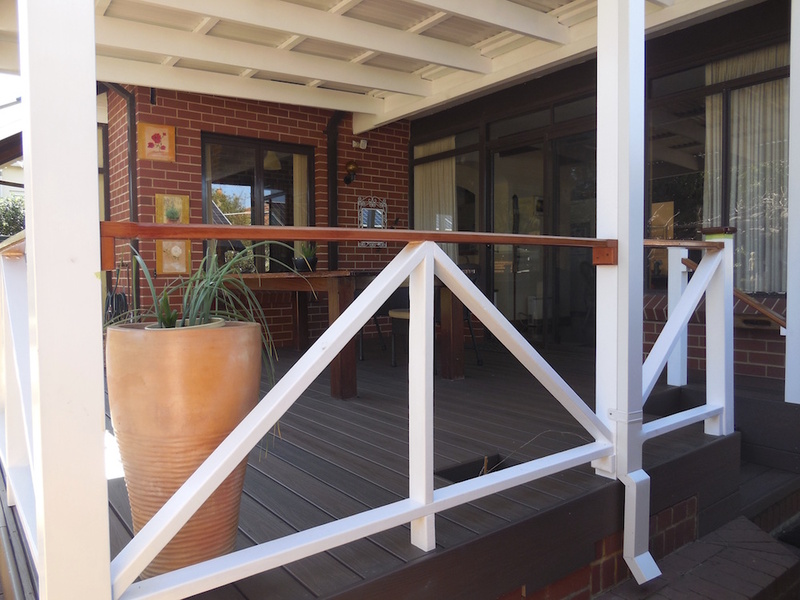 The maintenance free factor does come at a higher price than timber however, unlike timber, you will never need to oil your deck, sand it down or worry about old nails popping up. 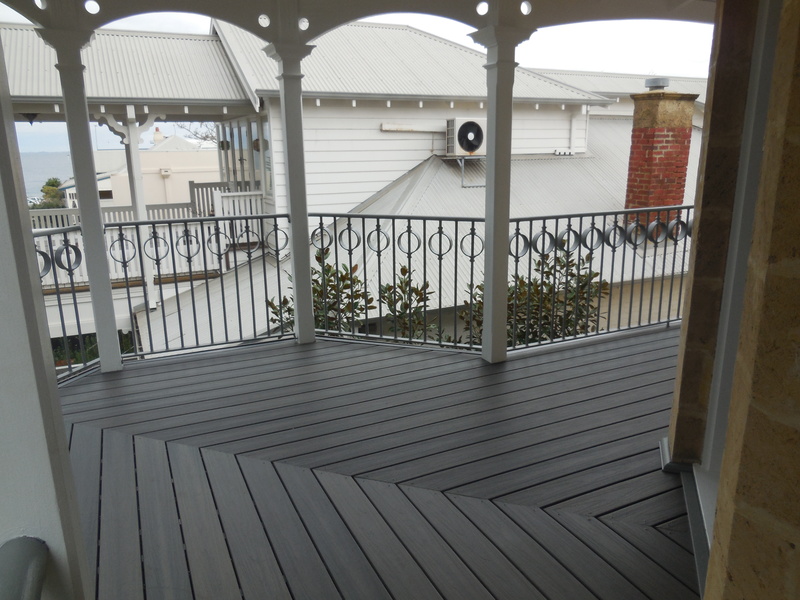 Over time, you are saving big dollars on tins of oil and putting your valuable time towards enjoying your deck, not sanding it. 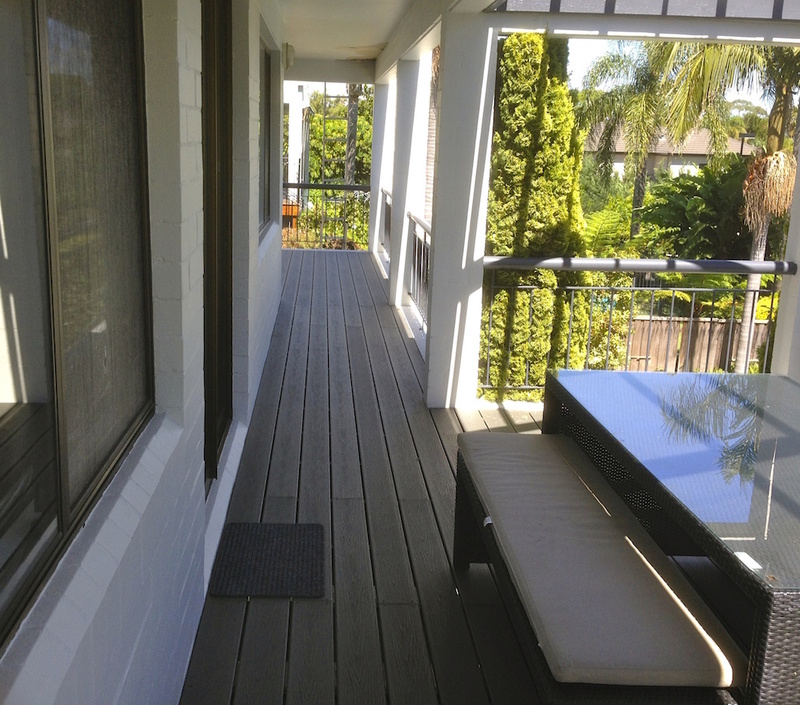 Composite boards do tend to get hot if exposed to full sun which is no different from concrete, aggregate, bricks or even timber. 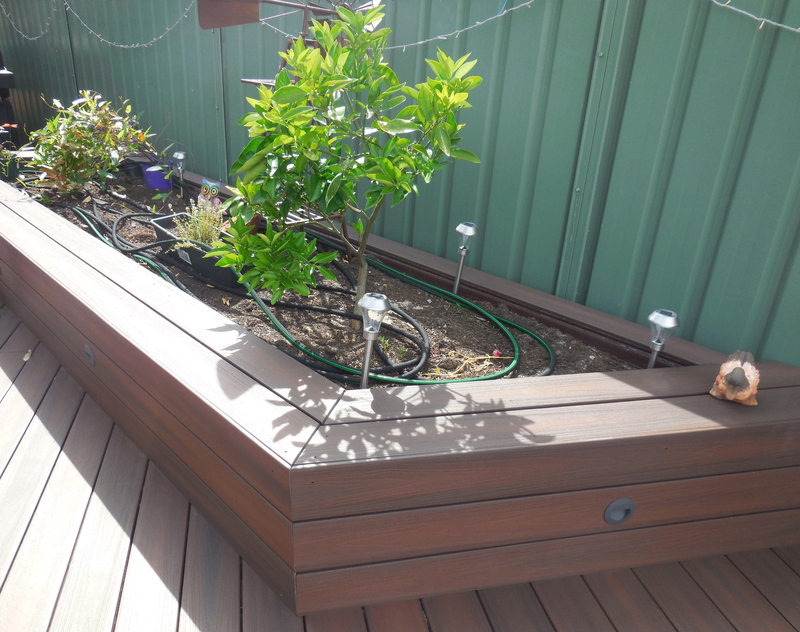 Solve the problem with stylish mats and cushions. 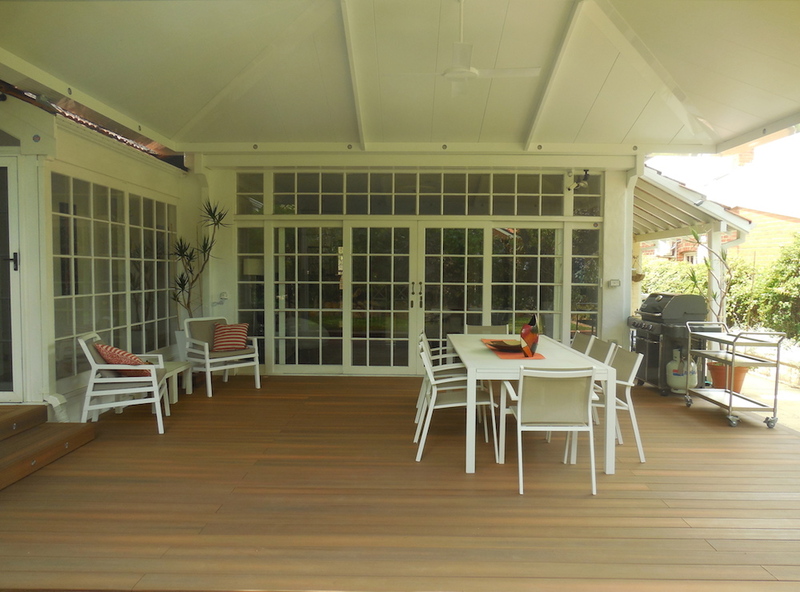 When covered with a patio or veranda, your composite deck will not get hot. 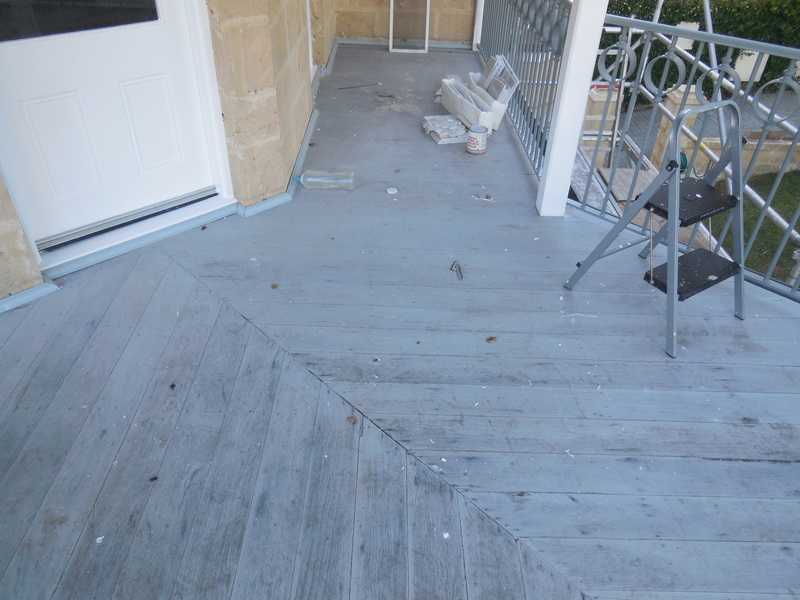 These points may be a down side with composite decking but its probably the only ones. 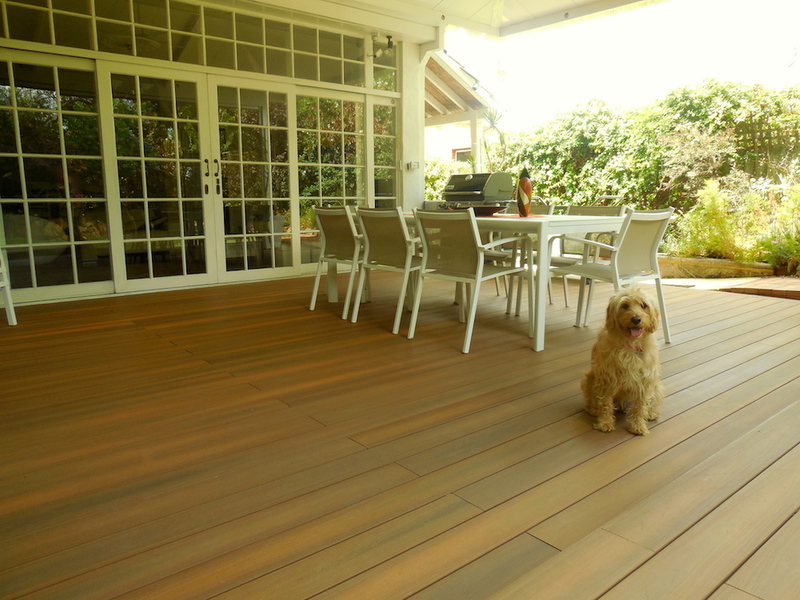 Ask us today for your free sample today.